Every year I book leave for the Bolton Food and Drink Festival... a year in advance. I adore it. 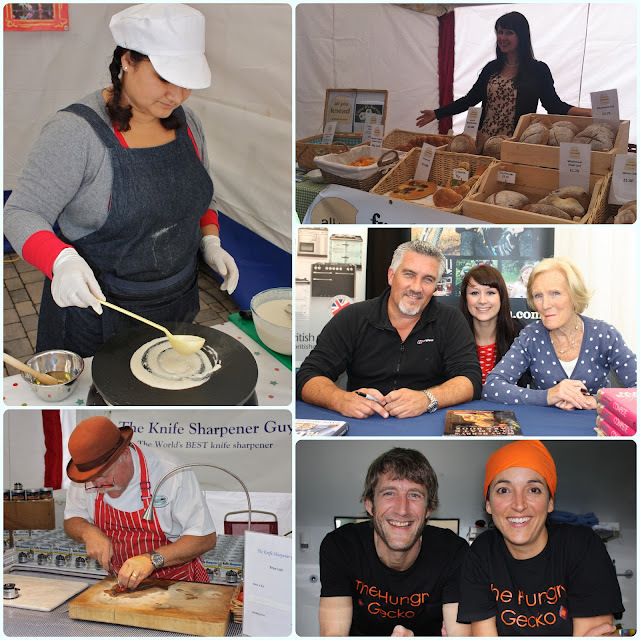 The celebrity chefs, the shows, the local producers and general hustle and bustle. I went every day last year, including the Monday when it hammered down with rain! I don't think I have ever been quite as soaked in my entire life! The festival has been on my mind for the last couple of weeks, as I remember it being around this time last year when I found out that the legendary baking duo of Hollywood and Berry were coming to Bolton. I was in the work canteen. I scared the life out of Sheila with my shrieks of excitement! Imagine my giddiness at lunch time today when I learned that they are to return for a second year... They were such a hit last time that the wonderful festival organisers snapped them up for a return visit. The festival will run for four days over the August Bank Holiday weekend, starting on Friday 23rd August and ending on the Bank Holiday Monday. Last year the festival attracted a whopping 102,000 visitors over the course of the event. The Leader of Bolton Council, Councillor Cliff Morris, said: “There is no doubt that the Bolton Food and Drink Festival is firmly on the map as one of the best events of this type, and it just gets better and better each year. “Last year’s festival beat all previous records in terms of visitor numbers and we are determined to make this year’s event one to remember. The fabulous Michael Caines will launch the festival once again and we have firm favourite James Martin entertaining the crowds on Monday. More information will be available soon, and tickets will go on sale from May. Keep your eyes peeled on the website for updates www.boltonfoodanddrinkfestival.com. Oh yay, I can go this year! Wow! I've never really found anything like this round where I live. The closest is the Chatsworth Show but that's mostly about livestock... very jealous that you've met the legends, and are likely to do so again!